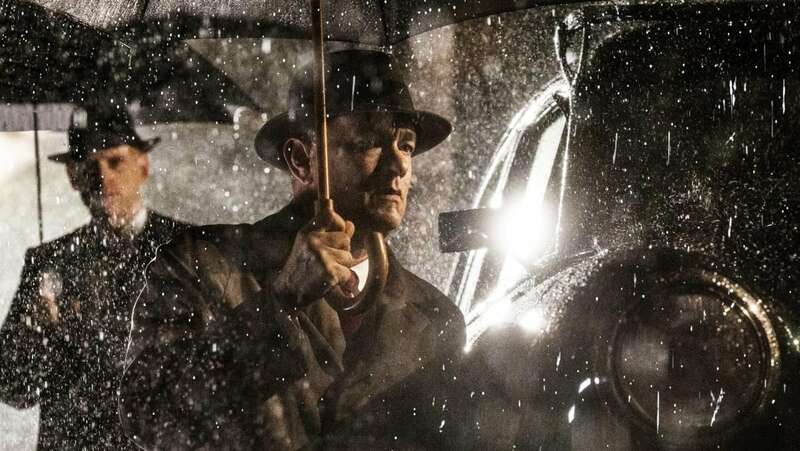 Bridge of Spies is the new Spielberg film and just like the rest of his work, it was a cinematic sensation. It was dark and ghastly but in all the right ways, and brought forth an exceptional story with strong characters and brutal themes. The story is set during the Cold War and the narrative begins when the USSR capture an American pilot and spy by the name of Francis Gary Powers, (Austin Stowell), after mercilessly gunning down his plane. 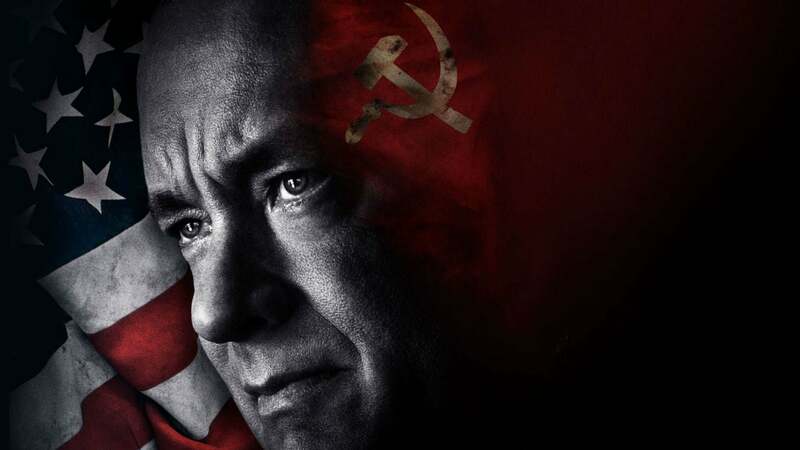 After being sentenced to ten years in prison, Powers’ only chance of freedom rests in the hands of the morally conscious lawyer, James Donovan, (Tom Hanks). Recruited by the CIA, Donovan becomes involved in a complex negotiation case where he attempts to welcome Powers back to the USA in exchange for the KGB spy, Rudolf Abel, (Mark Rylance), whom Donovan defended in court despite hostile reactions and pressure from the American people. When Donovan flies to Berlin his life is put in serious danger as he witnesses the brutality within a split and broken city and soon realises that not everyone shares his integrity for doing good. The heart of this story forces viewers to look at the ugly face of justice during a time when hostility and fear was etched upon the hearts of every person world-wide. Justice is not black and white in this story as webs of lies, deceit and international corruption run deep and shake the core of nations. Overall the film was exceptional and a true piece of skilled craftsmanship. The script which was written by Matt Charman, Ethan Coen and Joel Coen was very fresh and dynamic from start to finish. Such an extensive team is praise worthy as the script was seamless and the various visions of the writers didn’t create a jagged narrative strand or plot sequence, but made the whole piece come together with natural unity. The mise-en-scene and mise-en-shot were both stunning as in any Spielberg film. The visuals were simply gorgeous and built very well upon the intended genre, style and themes. The way it was constructed through traditions, filters, camera angles, diegetics and editing was very well selected and the combination of these elements brought out penetrating momentism, something which is greatly lacking in many contemporary films. The acting was sublime with Tom Hanks giving a spine-chilling performance as an exceptional character. But with a man such as Tom Hanks, every film compliments his talents, or perhaps his talents compliment every film. Either way, he brought so much to Bridge of Spies and his handling of his role added sincerity and depth to the holistic narrative and themes. Bridge of Spies is definitely a film to see if you want to be drawn into a convincingly cold war between integrity and treachery. The entire story has you biting your nails with anticipation and questioning your own moral compass. It’s both visually haunting and narratively daring, and a film which has beautifully rounded off a year of cinema.